Help CentreUsing SuperControl Configuring my propertyHow can I copy property settings to all properties? 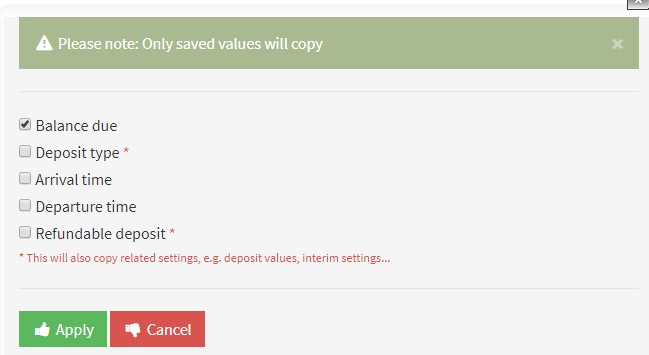 There are some areas of SuperControl where you can choose to copy property settings to all properties. Please note this feature is not available on every setting. 1. 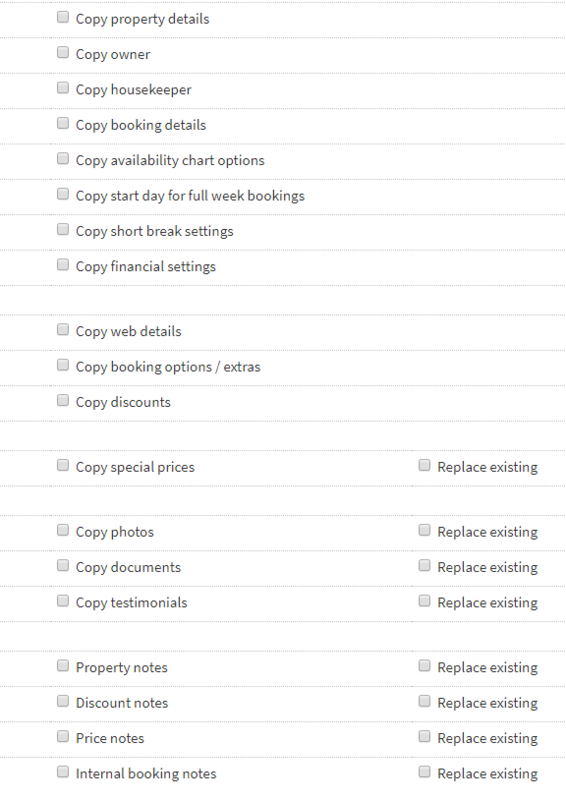 Go to Properties > Copy > Copy to existing. Prev: How do I update my short break prices? Next: How do I automatically schedule shorts breaks for late availability?